When Waylon and Willy were two little adventuresome pups, they got out of their pen exploring the world, and fell into an eight foot deep dry well in under an old house. On their own, there was no way they could ever get out. They were destined to die. But then, along came yours truly, J.C., who did the work crawling under the low-built house to fish them out of the pit. 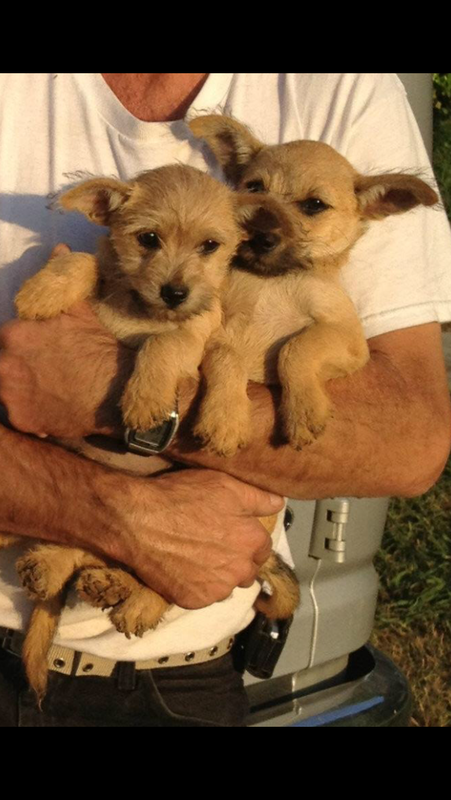 That day, when those 6 week old pups were presented back to the owner, a legal transaction took place. The owner insisted that I keep them, which when I saw his determination to give them to me, I agreed that I would take them. When I agreed to take them, all the former rights that owner had to those pups were forever relinquished. The deal was settled. I have never seen that man again. He has never been in my home. I don’t even know his name. He is no where around to ever accuse me of violating his rights in having those dogs because those rights were given up in the transaction. Jesus Christ did the work shedding his blood to rescue us from the pit of sin, a pit in which we were all destined to die. On our own there was no way we could ever get out. In times past Satan had rights to accuse us in heaven before God and in the earth (Job 1:6-12). But there was war in heaven, and the day the blood of Jesus was presented to the heavenly Father on our behalf, that day Satan’s power over us was completely destroyed and all his rights over us were totally relinquished. That day we came under new ownership (Revelation 12:7-12; Colossians 2:4-15). We partake of that by repentance and faith in Jesus Christ. That blood is the perfect work of a completed covenant that cleansed the heavenly abode from the presence of an ever-accusing Satan. If we should die today and go to heaven, Satan is not in our new home making accusation to the Father of us being stolen property. If we receive accusation of any kind from him here in the earth, we overcome him by that same cleansing blood that clears our conscience so that we can stand with confidence before the throne of a holy God. Weapons of the enemy might be formed and come against us, but none of them can prosper if we take our place in the blood of Jesus. The transaction has been done. We have been placed as royalty under the care of a loving Father who is always with us to meet all our needs. Even Waylon and Willy are a testimony about how that works.